As you know, some vendors release enhancements known as 'docking' to support the main device.Such as the addition of a keyboard dock on the tablet to increase energy and facilitate the user when editing. Last month, there was a rumor that Sony will void the device named SmartDock for Xperia P.But yesterday, Sony realize docking with another name. 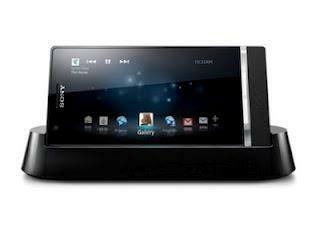 device is called the Xperia P TV Dock, serves to connect smartphone into a TV screen using HDMI. Through TV Dock, you can see a gallery of photos, videos, and even played a mobile game that is in Xperia P. In addition, TV Dock can also be connected with a wireless keyboard and mouse using Bluetooth. "With this device, you can transform Xperia Pinto mini-PC," wrote Sony on its official blog. TV Dock is connected to the Xperia P uses two USB ports. Dock while the TV is said to be available in the 3rd quarter.